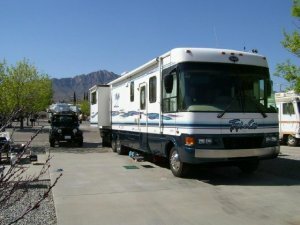 This is one of the nicest campgrounds that we stayed in on a 35 day western trip from Alabama all thru the west. A user account grants you full access to the website and a subscription to our newsletter with the latest news. There are 279 listings and 10282 reviews. This site isn't sponsored or paid for by the Department of Defense. This site is 100% operated by a private individual, proudly retired from the U.S. Air Force. The operation and growth of this website depends on the support of it's users. Your support for the operation of this website is greatly appreciated.